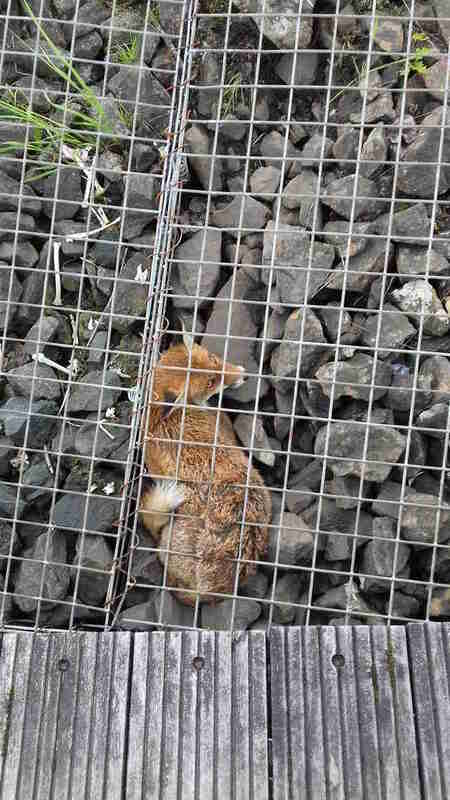 “Due to the little fox being trapped in a very strange and awkward space, it wasn’t an easy rescue." 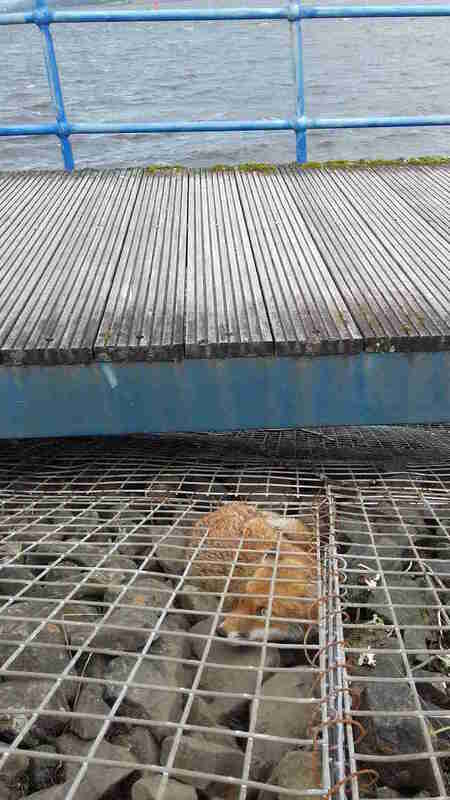 Some people were walking along a boardwalk in Scotland, enjoying the ocean views, when they looked off to the side — and noticed a fox, trapped under some metal wiring next to the boardwalk. It seemed the poor fox had tried to get himself under the wiring, but got stuck halfway through and couldn’t move at all. He ended up completely wedged between the wiring and the rocks underneath it. 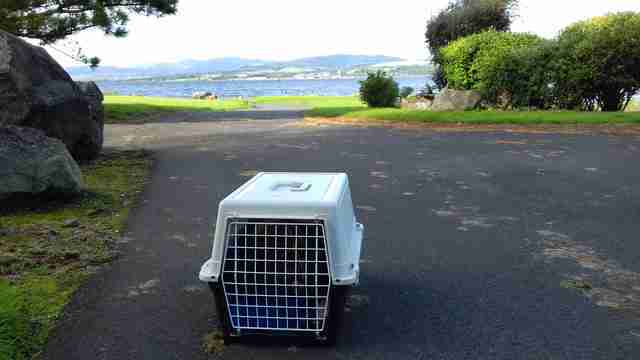 Wanting to help, the passersby contacted the Scottish SPCA, hoping it could help free the little guy. Jan Toraman, an animal rescue officer with the Scottish SPCA, arrived to help, but quickly realized it was going to be trickier than they thought. “Due to the little fox being trapped in a very strange and awkward space, it wasn’t an easy rescue,” Toraman said in a press release. Unable to free the fox without assistance, an off-duty fireman came out to help. He brought some bolt cutters, and was able to cut the fencing around the fox and then safely remove him. “This fox was very lucky to have been discovered as he would have perished otherwise,” Toraman said. Luckily, the fox did not appear to be injured at all — just a little shaken from the whole ordeal. Since he seemed to be OK, the group was able to release him into a nearby wooded area, and watched him for a little while to make sure he was safe. “After we safely got the fox out, we noticed rocks moving down and think there has previously been a fox tunnel but rocks have collapsed into it,” Toraman said. The fox was likely trying to get down into the fox tunnel, and that’s when he ended up getting stuck. 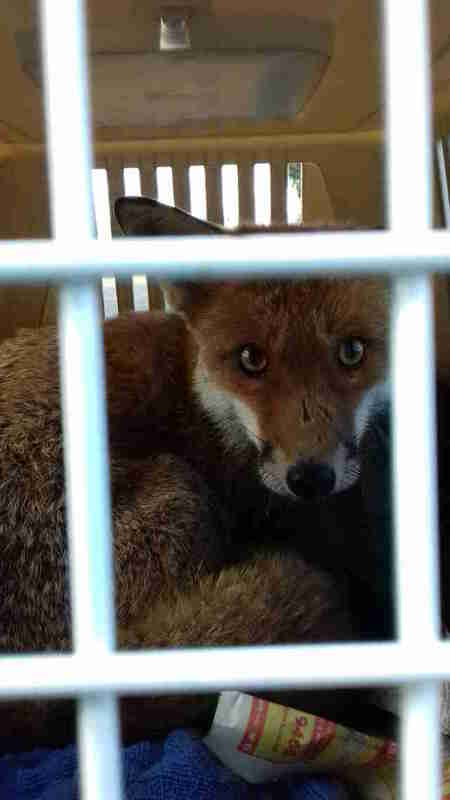 Luckily, the right people found him, and the fox is now safely back in the wild where he belongs.